I hope George was right. I’d like him to be right. Freedom is the ability to choose. As Jonathan Edwards stated we choose at the moment what we most want. If I choose something because it ought to be done it’s because I want to do the right thing even though I have a strong desire to go contrary. We do not choose Christ out of compulsion or necessity. We come to Christ because we want to. This is freedom. We love Christ from the heart. 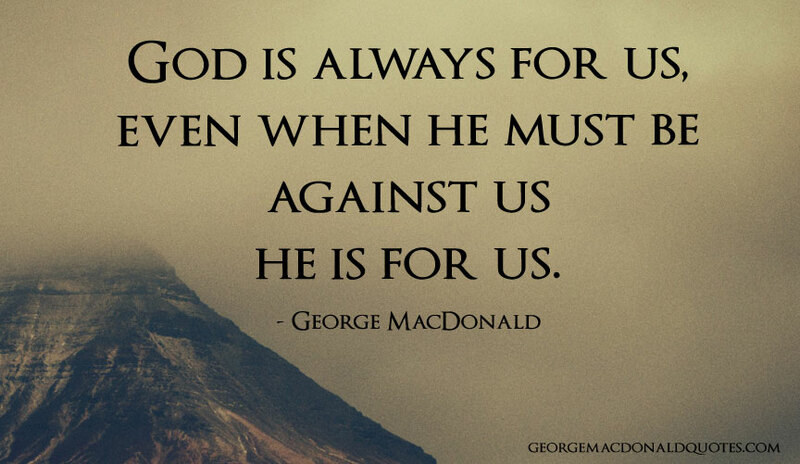 God doesn’t force us against our will. He performs a miracle planting the desire for Christ within the heart. As a result we want Christ. The bride falls in love with the bridegroom. When we reach perfection all desire for sin is removed. We will be like God in that it will be impossible for us to sin. We freely choose what we want more than anything - God. This is free will. Those outside the city have their hearts separated from God’s mercy. Therefore, they don’t want Christ. They hate God with hardened hearts. That is to say, they have no desire for God. God is never obligated to give the gift of grace to a sinner who hates Him and doesn’t want to have anything to do with Him. God doesn’t take away their freedom He gives them more freedom. Freedom to do what they most want. All they will ever want to do is hate God and His children as they live in evil. Don - the free will quote above came at a particularly good time for me. That is truly a GMac Gem!! Freedom is the ability to choose. Well, yes. 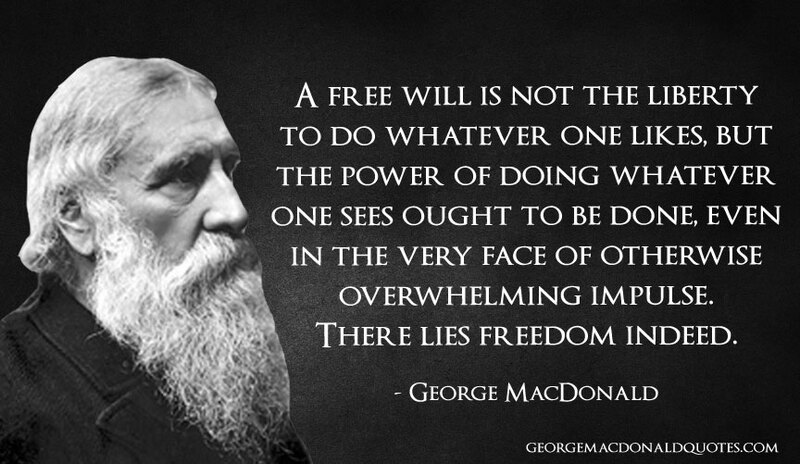 As you know I have used that very definition of “free will” several times. As Jonathan Edwards stated we choose at the moment what we most want. The God that holds you over the pit of hell, much as one holds a spider… abhors you, and is dreadfully provoked: his wrath towards you burns like fire; he looks upon you as worthy of nothing else, but to be cast into the fire. If I choose something because it ought to be done it’s because I want to do the right thing even though I have a strong desire to go contrary. And what if you choose that for which you have a strong desire instead? Is that just as freely chosen? Yes, “free will” is the ability to choose. But what if you lose that ability? Or if it is at least greatly diminished? There are many alcoholics that cannot seem to drink moderately. They are addicted to the extent that many of them even to lose their job in order to continue their excessive drinking. What has happened to their free will, their ability to choose? Many people are addicted to smoking. These heavy smokers know that there is a good chance of their getting lung cancer or emphysema in consequence. But they continue indulging their habit anyway. My father-in-law died from emphysema and my mother-in-law from lung cancer. Did they have the free will to stop smoking instead of dying relatively young? It seems not. 3 Many people are addicted to living promiscuous lives. Thousands of men continue this life style even though they know that their wives disapprove and are likely to divorce them. Do they have the ability to choose to stop such a life style in order to save their marriage? Seemingly not. So if a person becomes enslaved to sin, where is his ability to choose? His free will? If he is set free by the enabling grace of the Anointed One, is he not then truly free. Has he not regained the ability to choose? Will he not then REALLY have free will? 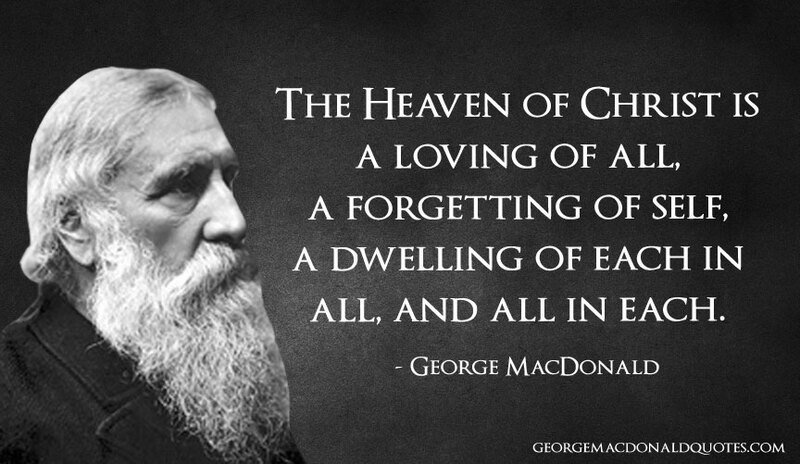 This is what George MacDonald meant. If you truly have the ability to choose to do what ought to be done, even though you have an overwhelming desire to do otherwise, then you are REALLY free! Better be damned, doin’ the will of God, than saved doin’ nothing! In love, every man shows himself better than he is, though, thank God, not better than he is meant to become. 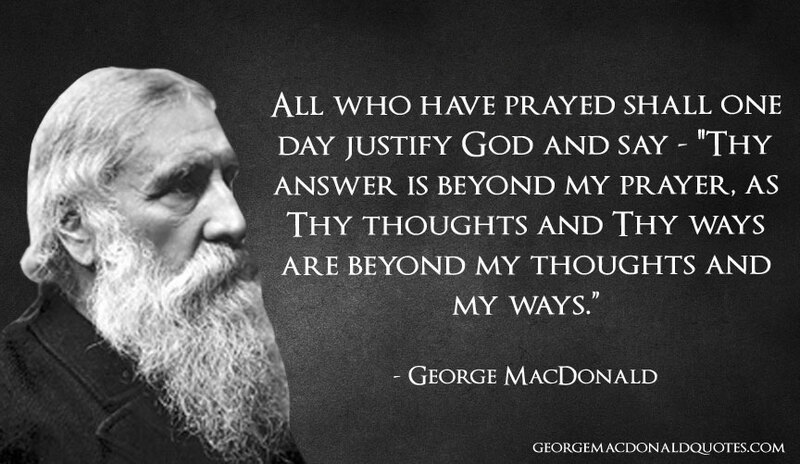 — George Macdonald; The Maiden’s Bequest,p 192.